This riveting first-of-its-kind collection of personal memoir includes stories written by dozens of native Bronxites, as well as by those who’ve arrived from the Dominican Republic, Maryland, USA, and Italy. 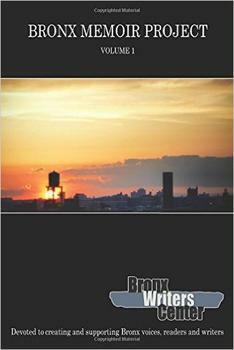 This is the first title to be released by the Bronx Council on the Arts’ BCA Media publishing platform. The Bronx Council on the Arts (BCA) and the Bronx Writers Center released the groundbreaking anthology Bronx Memoir Project – Volume 1, an unprecedented collection of over fifty Bronx memoir fragments, as penned by our very own residents, spanning various generations, continents, languages, cultures and themes. Dozens of aspiring Bronx writers have made big steps toward their dreams, contributing personal memories and experiences to this collection of short, autobiographical works. The authors participated in workshops facilitated by BCA's Bronx Writers Center, which were taught by creative writing professionals from throughout the Bronx. For them, the Bronx Memoir Project was a stepping stone providing exposure to people who normally don't get published, encouraging them to continue.